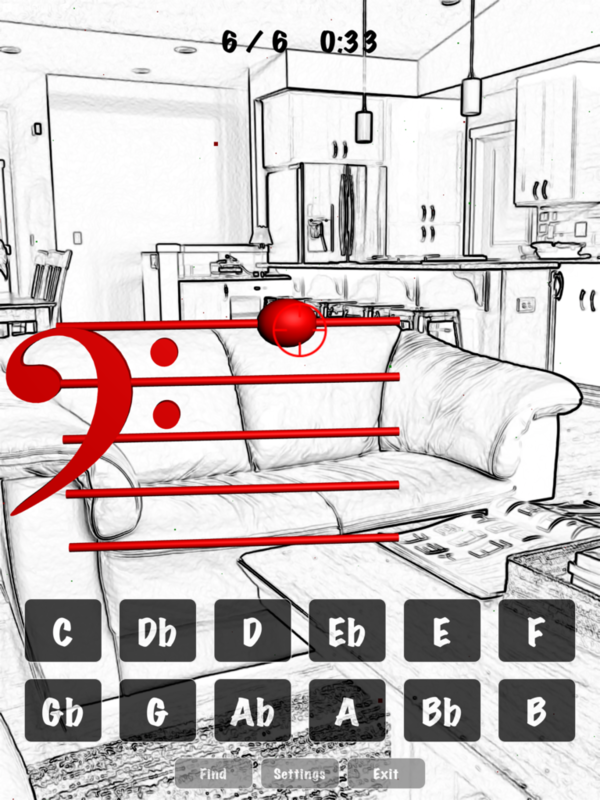 Note Blast is an Augmented Reality first person game for learning to read music notes. Why use flash cards when you can learn while having fun? Choose a song, hear the melody, then blast the notes one by one. Try to beat your time and accuracy. When you have a great game, share your score with your friends. Note Blast is set up for beginners with easy melodies using a few notes on the staff. Go deeper with more difficult melodies. For targeted training, use the Random Notes setting which can be customized to cover a range on the staff with clefs, lines/spaces, and sharps/flats/naturals settings. Choose to shoot using the piano keyboard with or without note names, or with note names only (great for band instruments). Choose your song and listen to the melody. Then play or train. In training mode, the correct button is highlighted. Work your way through the melody while learning the notes. After some practice, you’re ready to play. In play mode, you are timed while keeping score. 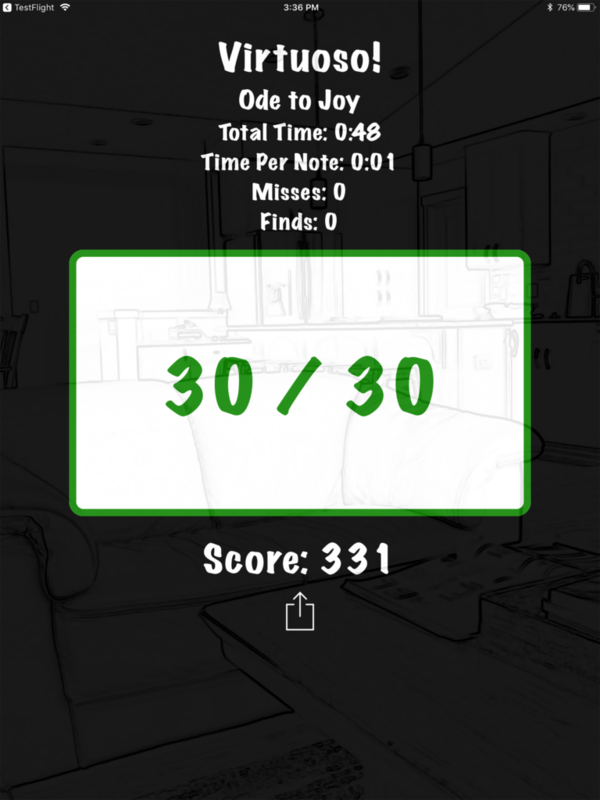 When you finish, you can share your score via text, email, Facebook, or other social media app you have installed. Note Blast allows for free exploration of the songs. 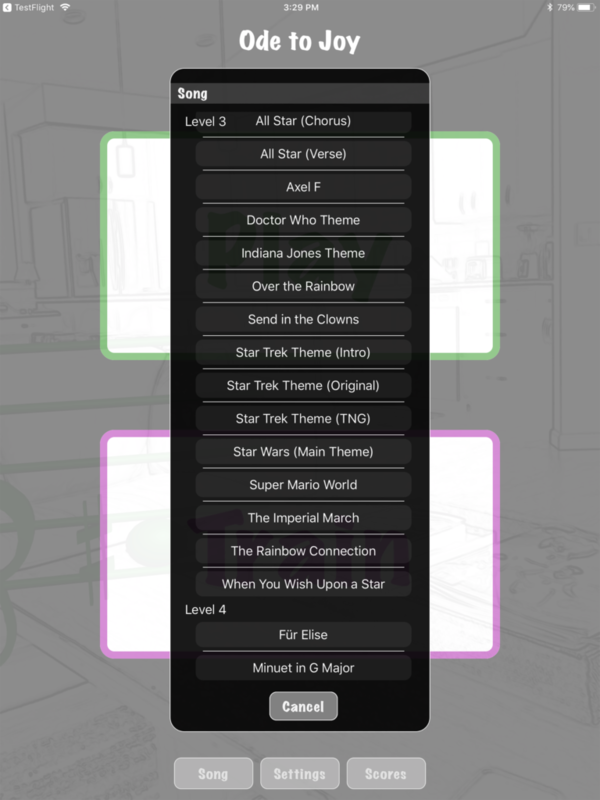 Instead of being directed in a certain path through the game, you can choose your song based on your ability and explore the available melodies. Note Blast includes 50 popular melodies; kid’s, pop, movie themes, and classical. 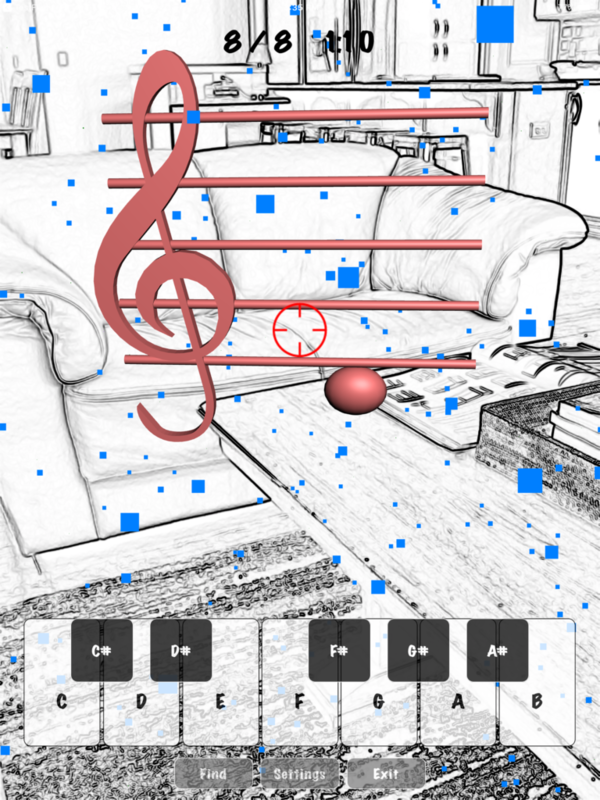 The fun factor of Note Blast is made possible by Augmented Reality. Move your device and point at the note using the cross-hairs. The note stays stationary in space! As you play, each new note moves to a new position. Aim quickly for a faster time with less misses. Notes are 3D and colorful. You will hear the note you blasted when you get it correct. With Note Blast, learning to read notes is fun! Due to the use of Augmented Reality, Note Blast cannot be played in a moving vehicle or very dark environment. Older iOS devices do not support Augmented Reality.